The purchase and installation of security surveillance equipment for homes and businesses can represent a significant investment, and the prospect of seeing often-costly equipment damaged or destroyed by inclement weather can be heart-wrenching. Home and business owners reasonably expect a return on such investments, at the very least in the form of their continued functioning over the course of many years. Typically, security and surveillance devices, and other home and business security equipment is somewhat durable, but many consumers have questions and concerns relative to the climates and environments in which they live and do business. No prospective purchaser wishes to learn, after the fact, that cameras and recording devices are too sensitive to rain, wind, heat or cold to last very long, and would be wise to do their due diligence prior to making investments in the security of their homes or businesses. The state of Florida is a great example when it comes to the long life and durability of security equipment. Florida experiences sweltering temperatures, sometimes even in the depths of winter, with afternoon temperatures over 100 degrees Fahrenheit common during the spring, summer and fall months. Temperatures in the nineties during winter months are not altogether uncommon, and many prospective purchasers of new security systems for homes and businesses may wish to be assured that these drastic temperatures will not adversely effect the functioning or longevity of their equipment. Thankfully, security and surveillance manufacturers know that variables such as temperature must be accounted for, and take steps to insure that their products will provide long-lasting service to consumers in varying climates and conditions. Another concern for residents and business owners in the South, and particularly in the state of Florida, is hurricanes. 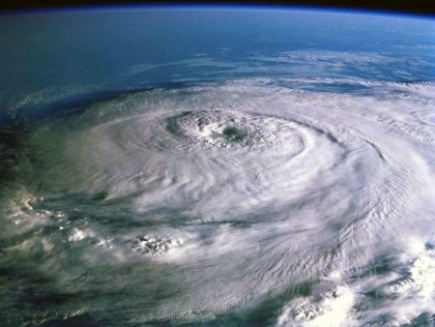 While many long-term residents of the sunshine state treat hurricanes as an excuse to enjoy days off from work and school, throwing hurricane parties and gathering with friends and family to observe the dramatic climatic effects, hurricanes can and do cause damages to property counted in the billions of dollars. The often-unpredictable storm surges, high winds, gusting rains and even such horrors as tornadoes and cyclones destroy properties in broad swaths across the sunshine state, leaving many families homeless, ruining businesses and making insurance an incredibly costly purchase. Seeing roofs, automobiles, livestock, trees and other personal property damaged and destroyed on annual basis causes many consumers to be wary about the purchase and installation of costly security additions to homes and businesses. Security and surveillance monitoring equipment is often installed out of doors and as such needs to be sturdy and able to withstand considerable inclement weather conditions. With winds gusting strongly enough to lift and move cars and tractor trailers great distances, sometimes dropping them miles away from their point of origin, outdoor installations need to be designed to withstand considerable winds and considerable impacts with flying debris. Most surveillance cameras are mounted very securely to existing structures, bolted firmly to the sides of building and light or telephone poles, and are designed to stay in place and continue to function at 100% efficiency even during the strongest of gusting winds. It can be astonishing to see large, heavy objects being lifted and moved by hurricane winds, and no Florida resident or business owner installs outdoor fixtures without considering how they might withstand the exciting annual weather that the sunshine states experiences. 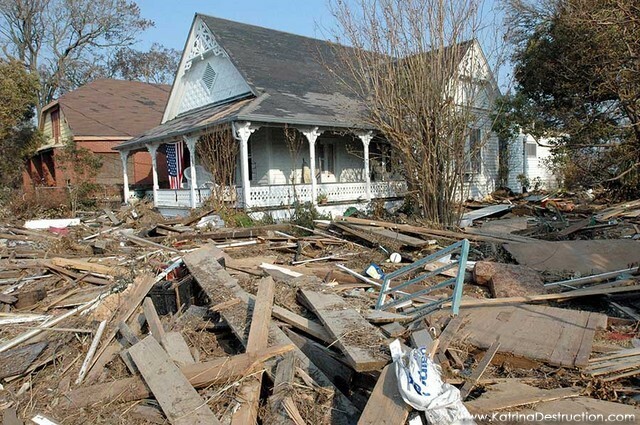 Flying debris presents a considerable threat to persons and property in Florida. Security and surveillance equipment is no exception to this rule. With winds gusting at such speeds as will lift heavy objects and persons up and in to the sky, many prospective consumers scoff at the notion that security cameras mounted out of doors could ever withstand the damages that accrue to other property exposed to the elements. 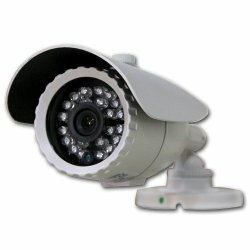 A quick review of the products on offer, however, will reveal that many security and surveillance cameras are housed in sturdy and durable metal protective sheaves, protecting them from most potential impacts and allowing for continued monitoring and recording of the designated area of responsibility. Any and all outdoor fixtures and furnishings in the sunshine state need to be durable and able to withstand sudden and drastic changes to the weather and climate. 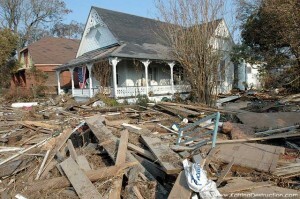 Hurricanes often present criminals with some unique opportunities to commit crimes against property and persons. With a great many residents choosing to evacuate their homes and businesses before hurricanes and dangerous storms make land, their are fewer witnesses and human impediments to the commission of thefts and vandalism. Law enforcement often sees their duties increase ten-fold during such emergencies, adding evacuations, securing shelters, directing traffic and patrolling flooded areas to their already considerable responsibilities. Many homes and businesses are targeted by enterprising criminals during mandatory and elective evacuations as they know that few if any witnesses will be about to catch them in the act. Further, knowing that law enforcement officers are stretched thin in their efforts to protect property and the public, criminals act quickly to seize property, damage homes and businesses, and generally take advantage of the situations that hurricanes create. Durable outdoor security systems serve as a hedge against opportunistic criminality, particularly during inclement weather conditions and emergencies such as hurricanes making land-fall. When waves begin to crash over seawalls and other barriers, flooding residential streets, and winds begin to blow dangerous debris about the community, many criminals seize their opportunities to loot and steal without consequence. The simple addition of a security or surveillance system monitoring and recording homes and businesses can act as a significant deterrent to opportunistic and professional criminals alike. Capturing and recording data about the commission of crimes can aid in the recovery of stolen property, and can help law enforcement officers to identify, apprehend and prosecute criminals before they have an opportunity to strike again. Sometimes, simply seeing a security or surveillance system in place serves as a powerful deterrent to the commission of crimes against persons and property. Knowing that their images will be captured, recorded and reviewed later leads many criminals to seek easier pickings elsewhere, targeting homes and businesses without the simple protection provided by inexpensive security and surveillance equipment. Some, however, either fail to notice their deeds being subject to video monitoring, or are desperate enough to go ahead in the commission of their crimes with little consideration of the inevitable consequences. While deterrence is an important benefit of security systems, some criminals are either too stupid or too motivated to care. For these individuals, video evidence of their crimes can and does lead to their easy identification by law enforcement, and many are apprehended quickly and readily by our police in their efforts to serve and protect our communities. Florida experiences some very heavy rainfall every year and, coupled with hurricane-force winds, can cause some very serious damage to persons and property. 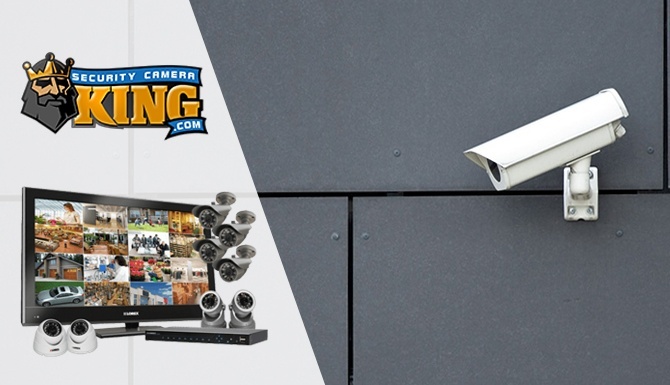 While cameras in general may seem to be fragile and easily-damaged, security and surveillance equipment and cameras are designed with durability in mind. The simple advent of wind and rain does little to impede the continued monitoring and surveillance afforded by security cameras, and many include features designed to protect the important camera lens from the wind and rain busy destroying other, less-protected outdoor fixtures. Similarly, while wiring to other appliances and home fixtures may be damaged during high winds and rain, many security and surveillance systems are designed to work wirelessly, recording and transmitting data over dedicated wireless networks to provide for seamless security solutions during the worst of summer storms. Any outdoor fixture being utilized in the state of Florida undergoes significant vetting by smart manufacturers who know that the value of their products and services depends in part upon their ability to continue working come rain or sunshine. Security is often an after-thought for many home and business owners. 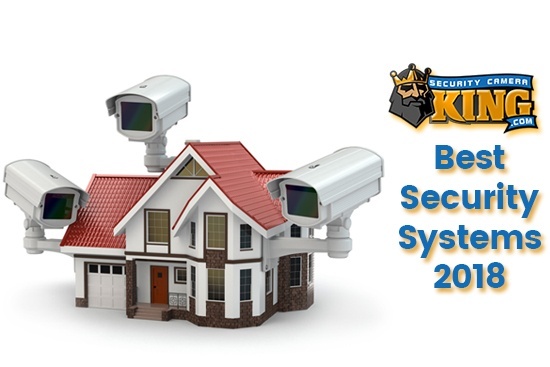 Typically, security systems are purchased after a property owner has been the victim of a crime, and has already suffered considerable losses. An ounce of prevention if very often worth a pound of the cure, and surveillance systems are no different. The simple joy of being able to prosecute criminals who have attempted to harm business and home owners, either through the theft of their property or even when it comes to violent crimes committed against persons is priceless. The purchase and installation of simple surveillance and security monitoring systems should be a consideration long before any person is the victim of a crime, and at low costs, such purchases can be worth their wait in gold when it comes to preventing property crimes or apprehending potentially dangerous criminals quickly. Law enforcement professionals appreciate having surveillance video of crimes being committed as it aids significantly in their abilities to identify and apprehend criminals, and to prevent the commission of future crimes in their communities. For any home or business owner considering a surveillance system, taking the time to insure that such purchases will withstand the wind and rain associated with Florida’s seemingly-annual hurricanes is important. While most systems will account for high winds, high temperatures, flying debris and considerable rainfall, it is worthwhile to investigate options, compare prices and warranties, and to make the right decision to protect persons and property prior to ever being the victim of a crime. Contact us today to install a hurricane proof security system for your home.